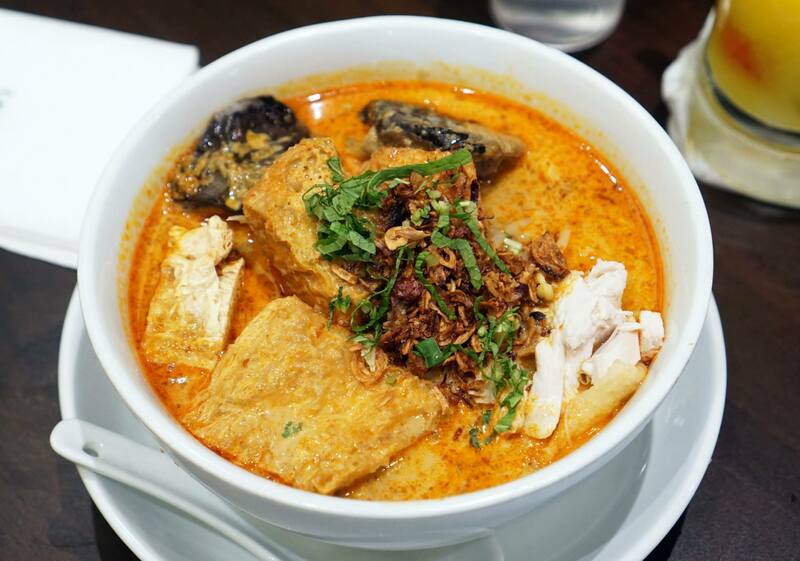 Malaysian cuisine is one of our favourite kinds of food because of its amazing dishes. 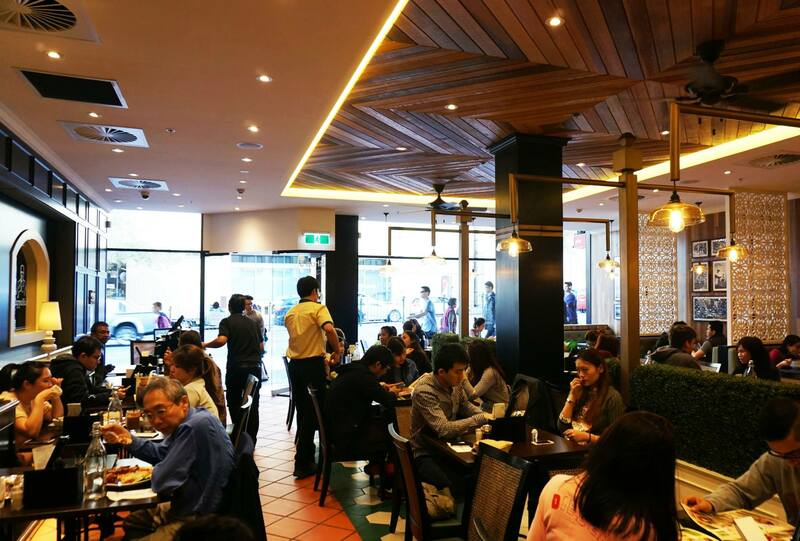 Miss K and I were lucky to have been invited to dine at Papparich on Broadway recently, luckily for us there’s also one in Chatswood and soon to be one in Parramatta which we will be visiting 🙂 Papparich is a chain restaurant originating from Kuala Lumpur which brings some of the best of Malaysian cuisine to Australia. 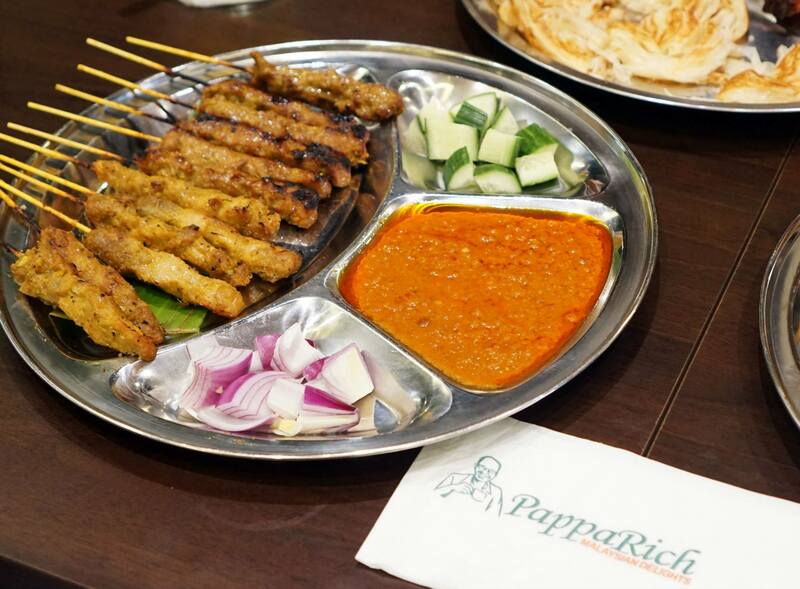 Satay sticks have to be one of the most iconic dishes of Malaysian cuisine, it would be difficult to find someone who has never heard of it before. Some of the best satay sticks I’ve ever had were at the famous Jalan Alor street food market in Kuala Lumpur so I was keen to see how this would compare, I have to admit I was quite impressed with the flavour which has a hint of charcoal and the quality of the meat. I’m not sure this is really a Malaysian dish per se as the style in which it is prepared seems identical to that in other South East Asian countries (Thailand, Vietnam etc). 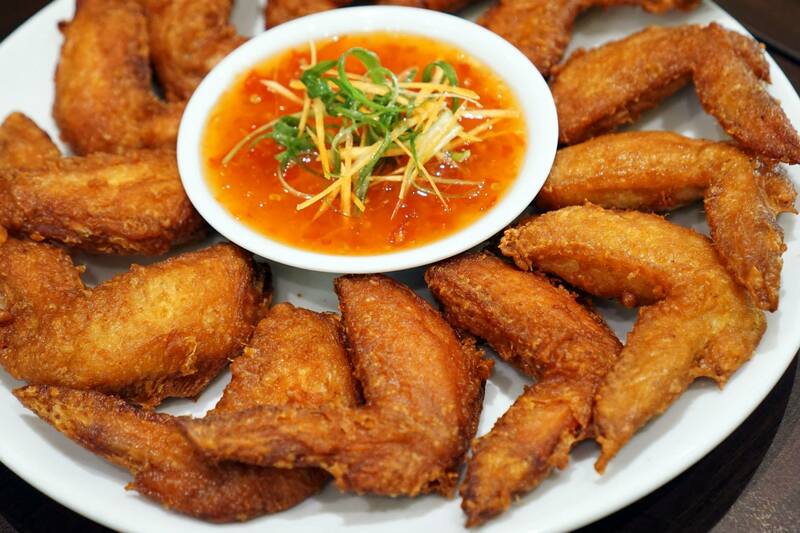 The batter is thin but very crispy which is often surprising and the inside of the chicken wings ooze with juices and are extremely flavoursome. These pictures are not in order of them arriving on our table as the beef rendang was actually one of our last dishes. 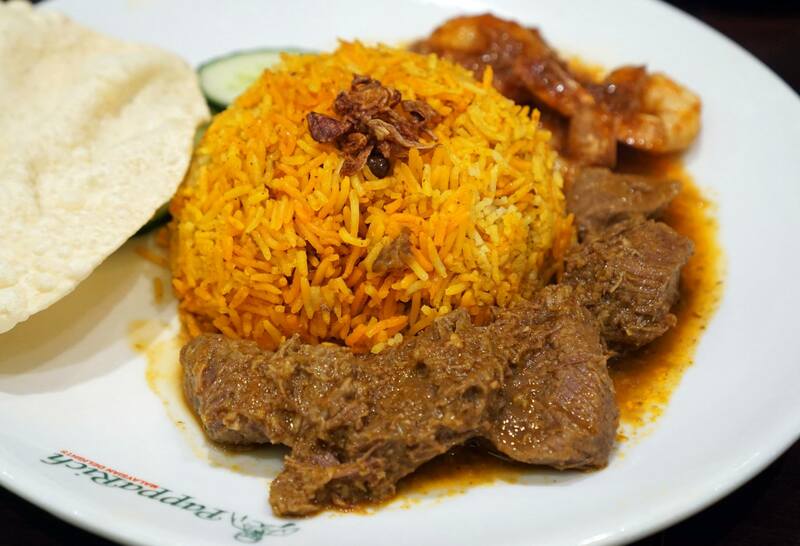 At that stage we were so full that we could hardly stomach the rendang but it was very aromatic and the sample we had tasted absolutely delicious, others on the table rated it quite highly! This one was a little difficult to share across 7-8 people but we all managed to try a small part of it which we found to be very creamy. Laksa is one of my most favourite noodle dishes so I was happy that it tasted quite nice with hints of coconut, curry leaves and a multitude of other spices. CKT as it was called by the others on the table was also a must order, the loose literal English translation for this dish is ‘Fried Rice Noodles’. I associate this more with Singaporean cuisine normally but regardless it is just as popular if not more popular in Malaysia, Miss K and I were ‘slightly’ disappointed with this variation as it didn’t seem as flavorsome as those we’ve had elsewhere. Roti is another iconic Malaysian dish that everyone was looking forward to trying as we’d all heard that Papparich did them quite well. 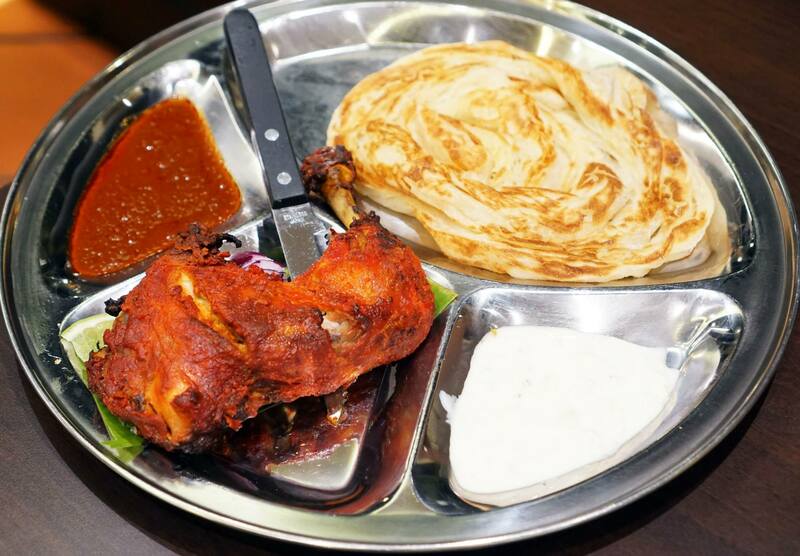 Indian culture is a huge influence in Malaysian cuisine and this shows as roti is a result of this influence, this particular order was quite an Indian influenced dish with the tandoori and yoghurt dip. There are a few different variations of roti but they are all basically flour based bread with egg which is stretched until they’re very fluffy and soft. 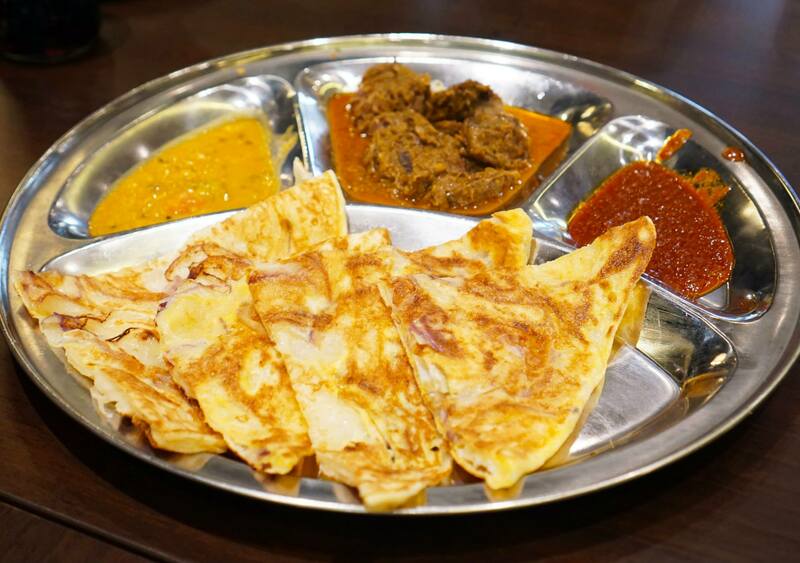 Roti telur is a traditional roti with red onion filling, this my favourite as it’s quite tasty and even better with the spicy dipping sauces and curry chicken. The sweet variations of roti are also quite nice as the bread is relatively neutral in flavour and can be eaten as either a savoury meal or as a dessert. 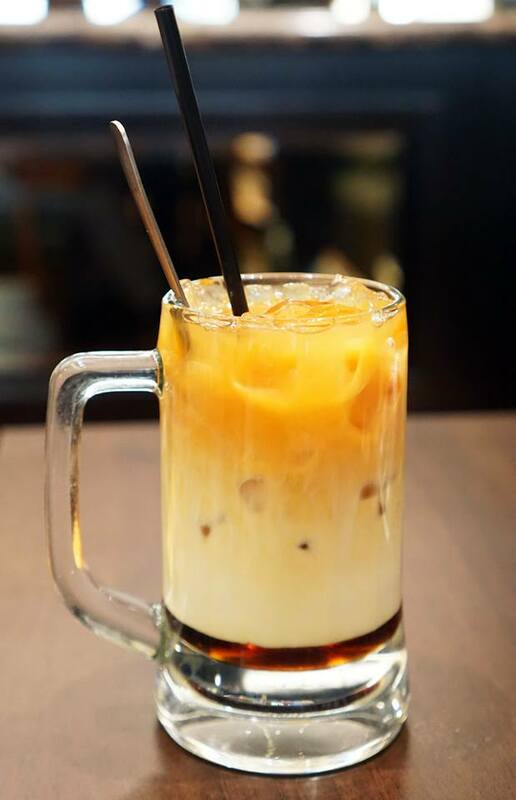 The relatively plain roti bom that we tried is quite similar to roti canai except it is served with sugar and condensed milk for dipping. 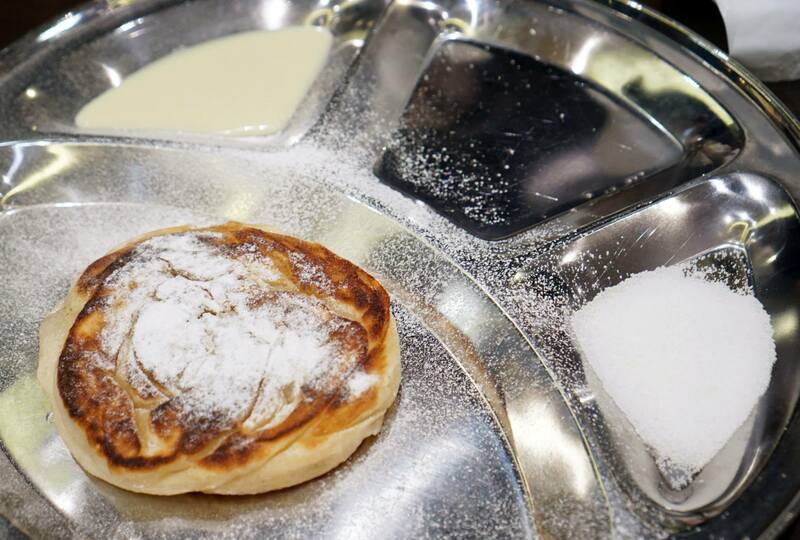 Of all the roti dishes we had this one was probably the most difficult to eat with hands because it was quite sticky possibly as a result of being made with a fair amount of butter, this is also my favourite dessert roti. 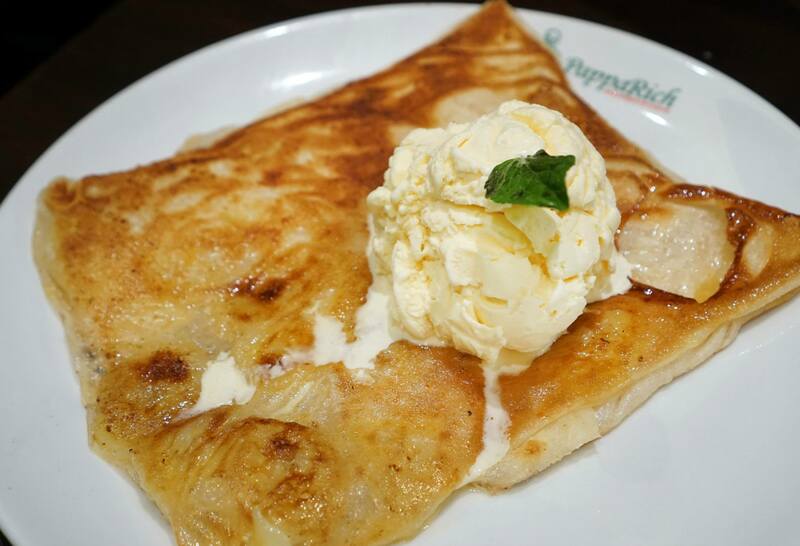 The inside is filled with bananas and topped with a delicious scoop of vanilla ice cream. This was an interesting dessert that I believe has roots in Chinese cuisine as I’ve tried it before. 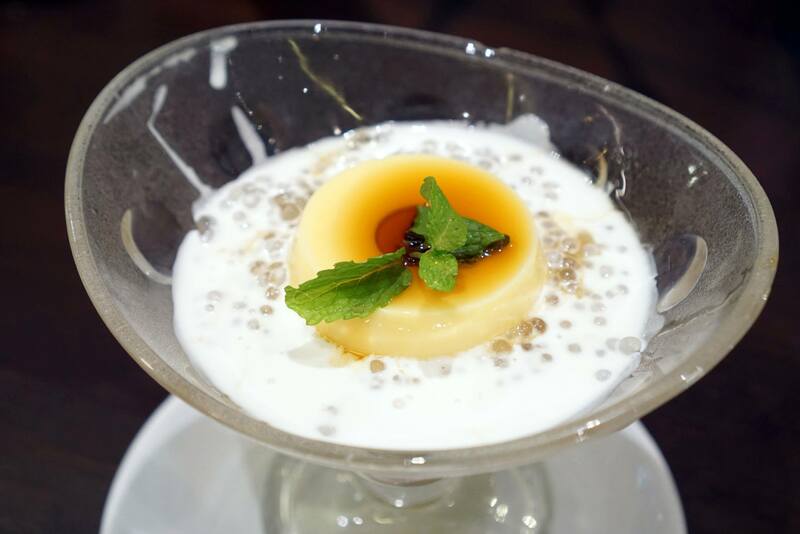 The centre is a very soft egg pudding with a texture similar to custard topped with a sweet syrup, this is surrounded by a mixture of sago and what I believe is milk which complements the pudding quite well. 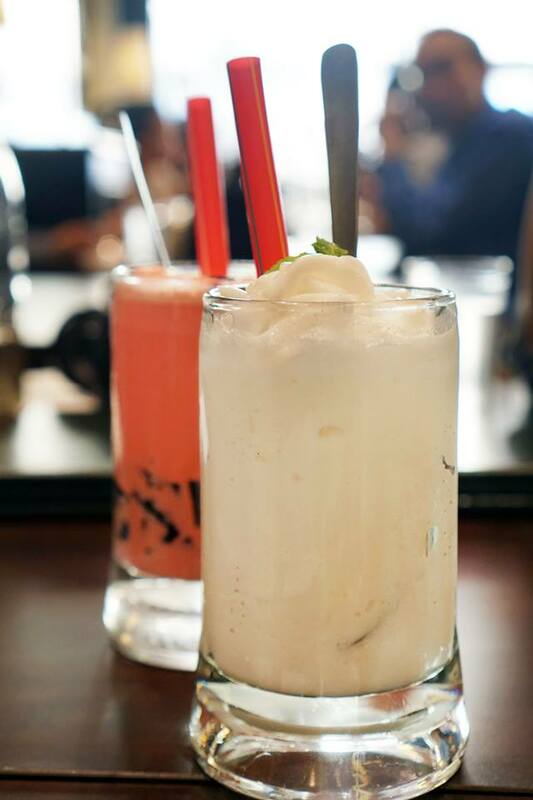 There are a few pages of drinks on the menu which I thought was amazing, I managed to get a few good photos of some of the drinks we had on our table but there were a few others that come around I didn’t capture. 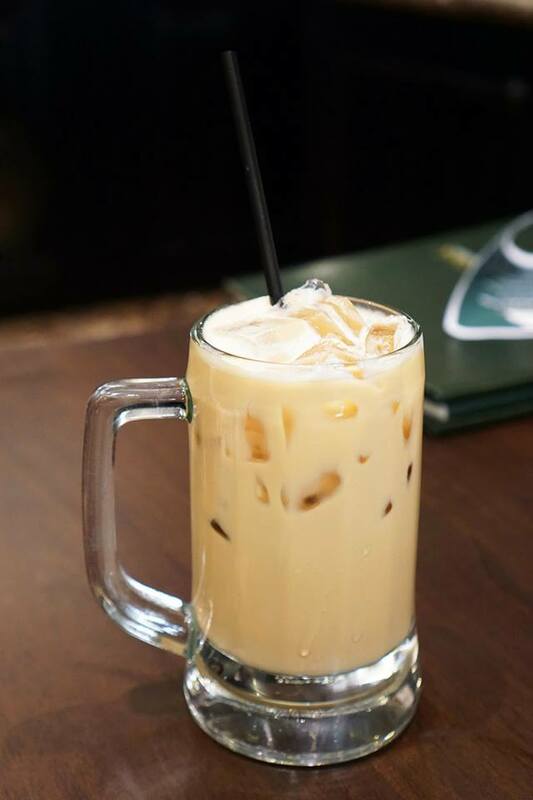 Myself and Miss K had the traditional Teh Tarik and Teh C as they’re our drinks of choice – we were quite happy as they were both refreshing and tasted really nice. 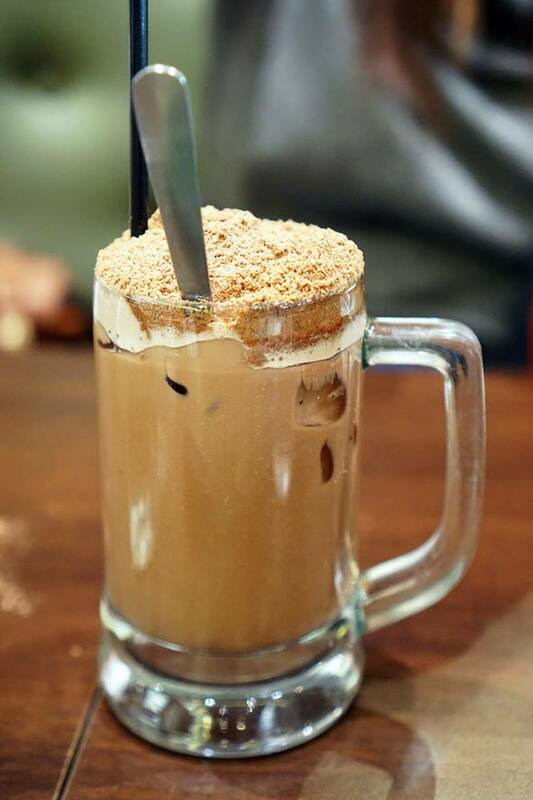 The Milo Dinosaur is an interesting one because Malaysia’s most popular drinks, they are actually the worlds biggest consumers of Milo! 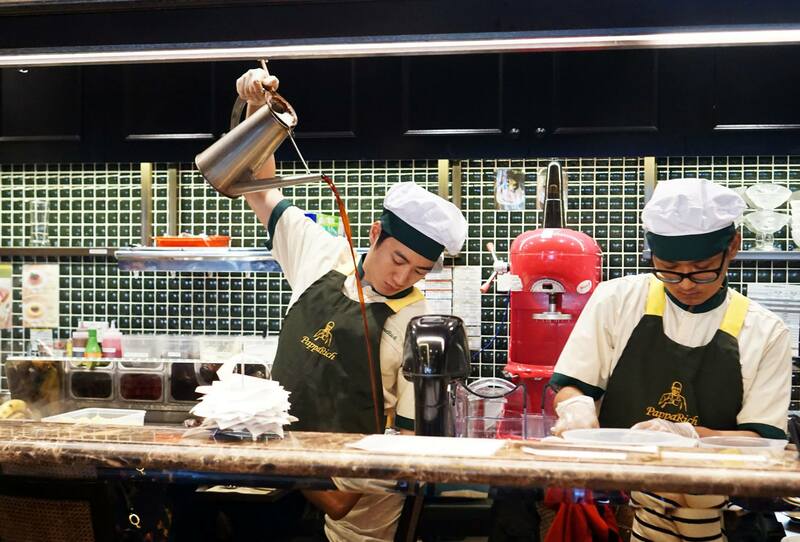 In case you guys haven’t noticed we’ve actually started to take note of the interiors of a restaurant more nowadays, in the past we focused solely on the food and service. 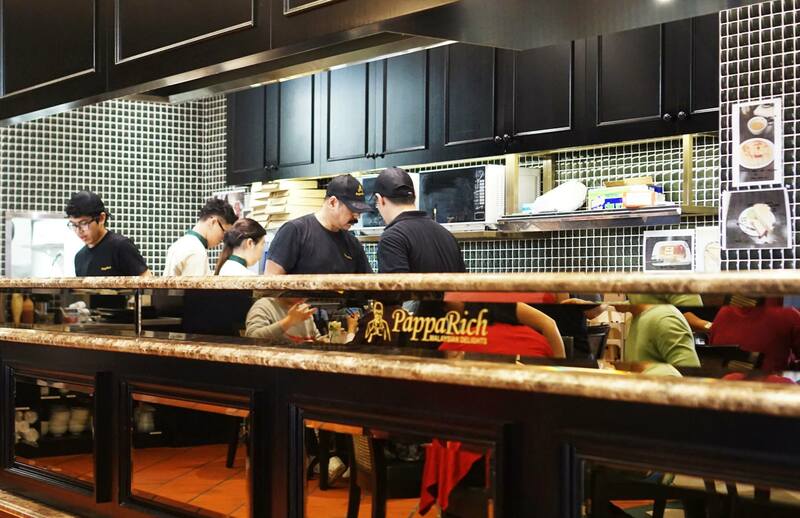 I think Papparich strikes a good balance between the three to make a casual dining restaurant that’s well presented and well priced, it’s quite clear that they’re successful because the lines out of the restaurant seem endless in the evenings. 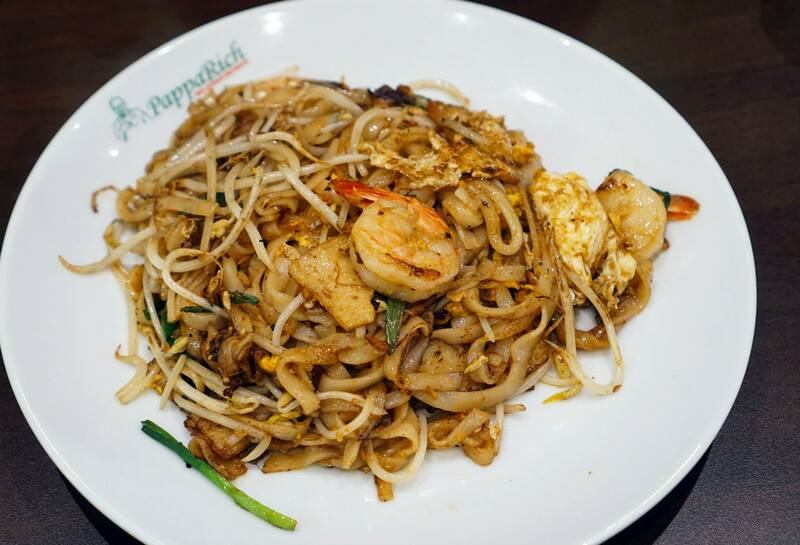 Overall we were quite impressed with the food and we’re very happy that Malaysian cuisine is making strides in Australia, there are quite a few dishes like Kaya toast that are difficult to find anywhere but Papparich offers them as a standard menu item which we thought was awesome! Mr C and Miss K attended as guests of Papparich Australia and Wasamedia. All views and opinions expressed are our own. 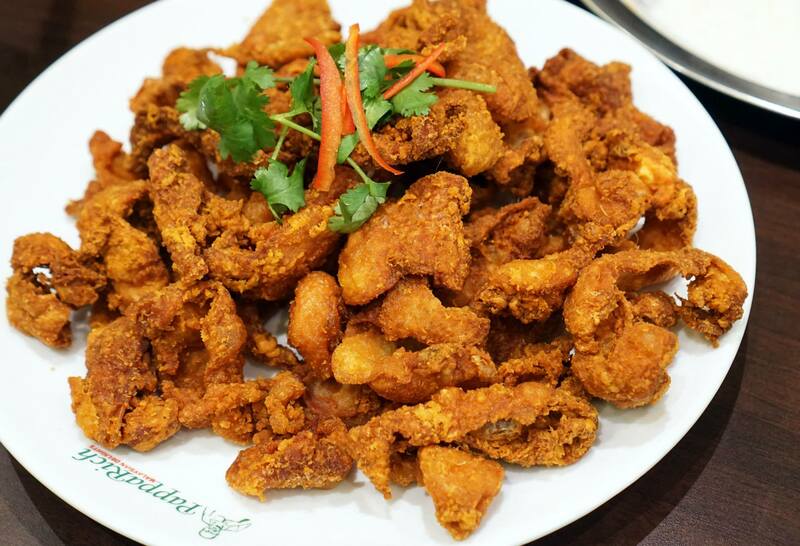 @Everyone: I guess it’s pretty safe to assume that the deep fried chicken skin is a must order 😀 One plate is enough for 3-4 people, unless you think you can handle that much fattiness! I was in KL recently and there seems to be so many Papparich outlets. I have yet to check out any in Sydney. chicken skin and milo dinosaur and im in heaven! You had me at deep fried chicken skin… Won’t ever let lots of fat and oil stop me because they are excellent lunch options no? I’m always tempted to order the deep fried chicken skin but worried that it would be really dry.. so is it still juicy and fatty? Oh man you got to try the deep-fried chicken skin which I missed out on last time!